Stunning tri-level townhouse in West Simi! Stunning tri-level townhouse in West Simi! Tastefully designed, and well-maintained. First floor, complete with living space, bedroom and full bath. Ideal for in-laws, or visiting guests — completely private! Including a sliding door to private patio. Upstairs leads to an open floor plan: generous living/family room, with dining area, and gourmet kitchen. High ceilings, allowing for plenty of natural light. 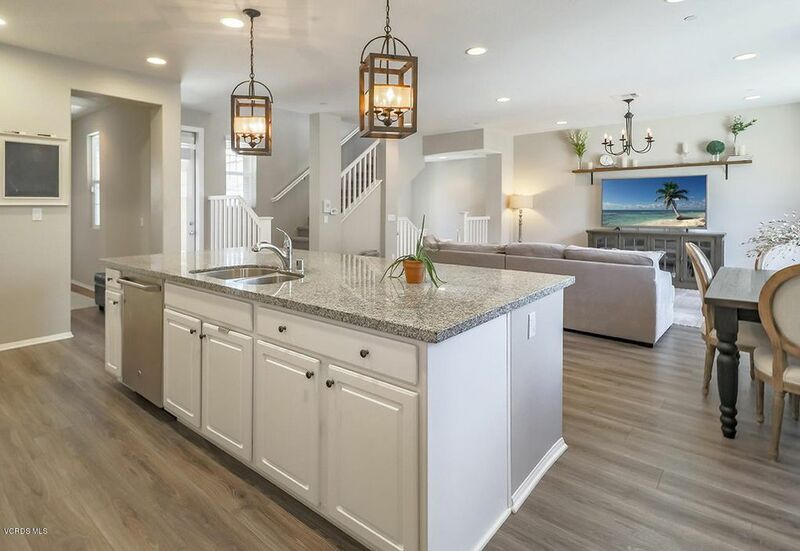 Kitchen boasts stainless appliances, granite countertops, with massive island, allowing for seating, gathering and cooking, along with large pantry and plenty of storage. Balcony off living space. Separate laundry room and powder room on this level. Upstairs to third floor, complete with two additional bedrooms with en suite baths. Master with double vanity and walk-in closet. Direct access to 2-car garage, complete with tankless water heater and wired for an electric vehicle. This complex is energy efficient, has guest parking and conveniently located near shopping, dining and access to freeways. You won’t want to miss it! Beautiful LONG CANYON home in Wood Ranch!